This year has been quite eventful for startups in Malaysia. In fact, many new and aspiring entrepreneurs entered the startup scene this year with their cool—and some not so cool—ideas. Many of them were relatively successfully while others ended up dying silent deaths on the wayside. 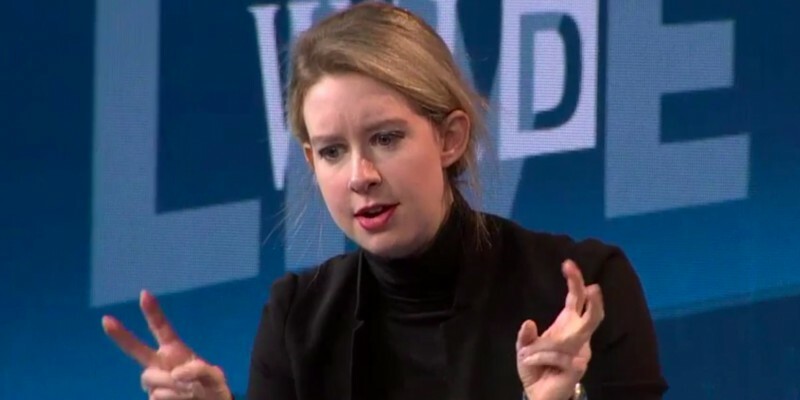 While there have many startups that I’ve personally written about this year, the ones that I found to be the most interesting were the ones that had to deal with some sort of controversy. I love controversy and there’s absolutely no denying that. Here are a few “controversial” startups that I enjoyed discussing about this year. The war between taxi drivers and ride sharing services like Uber and Grabcar has been well documented. 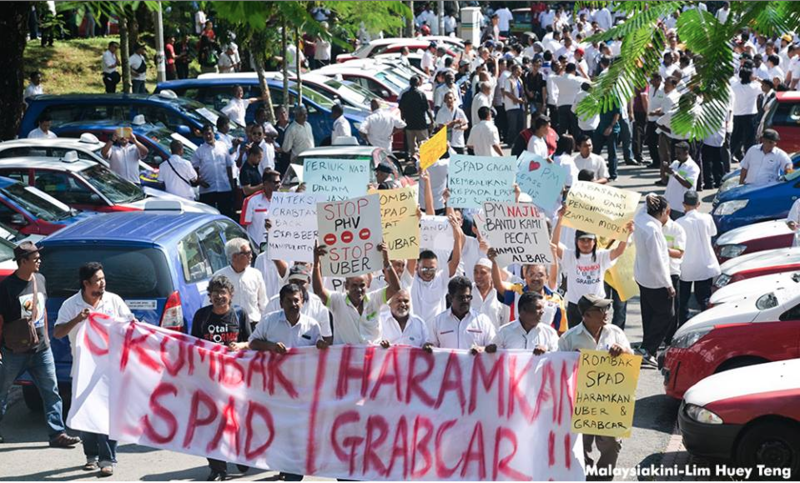 From intimidation, arguments, fights and a full-blown protest held by taxi drivers against Uber and Grabcar, this is one controversy that’s still on going. On the plus side if I ever run out of things to talk about with my Uber driver, I know that I can always resort to talking about what’s happening between them and cab drivers. Speedrent is a disruptive app that has managed to change the dynamic between real estate agents, landlords and tenants. It’s an app that connects landlords and tenants directly and allows them to rent out their homes without interacting with any agents. 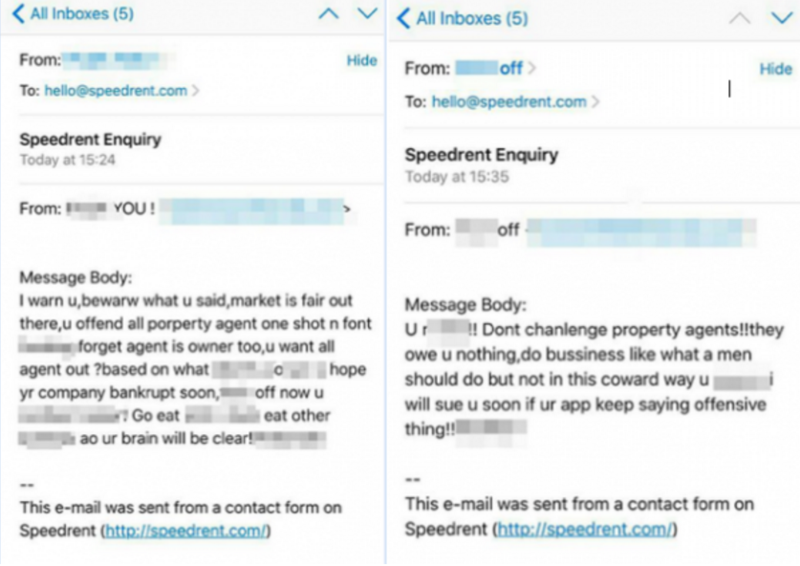 In the early days of Speedrent, the startup was very vocal about dealing with property agents. They insisted that it was an inherent waste of time and needless to say, they had to deal with a significant amount of backlash from property agents. To be more precise, they had to deal with a lot of hate mail as well. Zalora is a renowned e-commerce platform that deals in fashion. Given its popularity among those that surf the friendly web for a new pair of clothes, it was quite a shock to hear that they still haven’t managed to break even. At least that was what Facebook user Firdaus Yasin shared in a post in May after attending a 2-hour talk at MaGIC from a Zalora representative. In September, ecommercemilo.com received Firdaus’ permission to translate and republish his post on their website. Soon after the article was shared on the site, Giulio Xiloyannis (Managing Director of Zalora Malaysia) contacted ecommercemilo.com to dispute and clarify the 17 points that shared by Firdaus Yasin about Zalora Malaysia. VapeClubMY is a Malaysian platform that most vapers would love to use, given that they offer a subscription service that lets you try out all kinds of vape juices. The act of vaping is being heavily debated in Malaysia and in fact, it was recently banned in Johor and most vape-based retailers were given up to the end of this year to shut down. Despite the tricky situation of the entire vape industry in Malaysia, VapeClubMY is still operational at the moment. In fact, they began shipping internationally just weeks after starting up and I really do hope that they continue to grow. Mindvalley is an incubator that’s focused on growing businesses that innovate on transformational education (whatever that means). There’s only one reason I hold them to be controversial other than the fact that I don’t know what they do—how on earth do they make their money? Given that I wasn’t the first one to ever think of this question, Vishen did clarify (briefly) in a Quora post about how Mindvalley makes their money primarily through publishing American authors in the personal growth space. It’s important to note that these startups aren’t shady by nature but they are definitely significant enough in their respective industries to attract some sort of controversial attention.